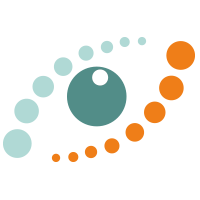 The Dry Eyes Clinic in Manchester specialises in helping people like you to alleviate their painful, gritty and tired eyes - safely and effectively. Are you fed up going from one dry eyes specialist to another whose practice is in so many areas that they can’t give the specialised dry eye care you desperately need? Well, here at The Dry Eye Clinic Manchester I have taken matters in to my own hands. My name is Mr Myer Mark Yodaiken I am a Specialist Eye Consultant FRCophth FRCS, FCS (Ophth) and I have spent many years caring for eyes in the UK. Seeing the huge need for specialised care I recognised the need for a Centre dedicated to Dry Eyes and Blepharitis Treatment and to give focused care to the many dry eye and blepharitis sufferers. 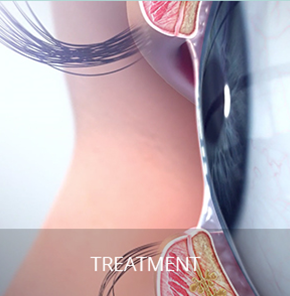 We are proud to be one of only a handful of clinics in the world that is 100% devoted solely to your dry eye care. Giving expert advice and treatment based on years of dedicated research and experience. Take Your 30 Second Assessment Now! You see, I myself have suffered from dry eye symptoms and knows exactly what it feels like to have to live through each and every day with Gritty and Stinging eyes. I have tried all the different dry eye relief’s available (and more, after all being a Consultant Ophthalmologist I have access to many resources.) I know what works and what doesn’t and those that do more often than not the relief is only short term. After considerable research in quest of a longer term solution I was excited to have discovered what we have all have been looking for, a long term solution for our long suffering red eyes. 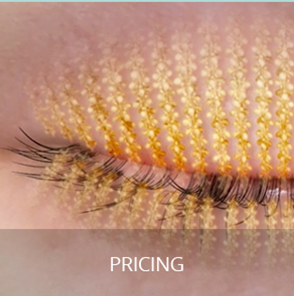 It’s a treatment program known as Lipiflow which is based on years of research and uses only the latest technology. Its brilliance is that instead of just treating the symptoms as so many other treatments do, it gets right down to the root of the problem with precise technology and brings long term relief in no time. 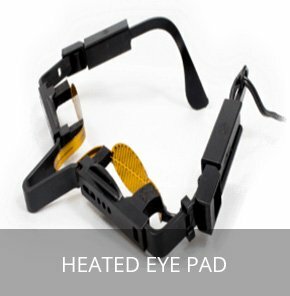 To make the treatment even more effective and longer lasting we have also incorporated The Heated Eye Mask into our care plan. What Is The Difference Between Blepharitis And Meibomian Gland Disease? So many people suffer from this syndrome without knowing that it is an actual disease. While there are those who notice the symptoms but neglect it or use self-medications that can result in greater damage, it is a progressive disease. Without treatment or proper medication, it can worsen over time. This disease is a condition in which there are insufficient tears in the eyes to nourish, sustain and help lubricate them. Patients with dry eye have a very poor quality of tears or they do not even have enough to sustain the eyes. How do I know if I may have this syndrome? You may be suffering from Meibomian Gland Disease (also known as Dry Eyes) ranging from mild to severe – All you need to do is take our Thirty second test. Gender: research shows that almost sixty percent (60%) of patients are women. Women are more exposed to this syndrome as a result of the several contraceptives they consume and hormone changes due to pregnancy. Also in some women they experience the symptoms due to the menopause. Ageing: Most people over the age fifty to sixty-five (50-65) years’ experience Dry Eyes symptoms. Environment: exposure to wind; dry air or dry climates can evaporate the tears. Directing car heaters, air conditioners, fans and hair dryers also evaporate your tears. Drugs: Some kind of medications can cause the symptoms, like antidepressants, decongestants and blood pressure medications. Health conditions: Health conditions like immune system disorders (such as Sjogren’s disease), and arthritis.